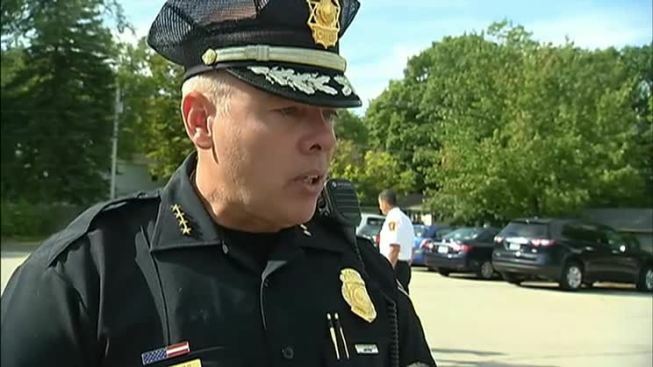 Manchester Police Attempt to "Set Record Straight"
Several gubernatorial candidates used inaccurate crime statistics and called Manchester "lost"
With just three days until the primary in New Hampshire, Manchester Police Chief Nick Willard tells NECN it's time to clarify the facts that may be getting muddy in the political back and forth. Chief Willard and other public safety officials sent an open letter to residents, to "set the record straight." Willard says the letter comes after several gubernatorial candidates used inaccurate crime statistics and called his city "lost" in it's efforts to combat the heroin epidemic. "To say a city is lost, that's hard to hear when you're literally on the front lines," Chief said in an interview Friday. "We have been working through the heroin crisis and the drug crisis for a long time, long before the political process started to play itself out." More than 70 people have died of overdoses in the city so far this year, but for the first time in nine months, overdoses were down in the month of August. Kristen Stoddard struggled with addiction for five years. "I overdosed several times," she said. Friday, the Manchester resident told NECN she's been clean for more than a year. "I've been going to school for my GED and I wake up every morning refreshed," Stoddard said. And regardless of what's being said, she's just glad that state and local leaders are talking about it. "I think they need more services for people, more people out there to help," Stoddard said. Chief Willard says the letter, like one of his recent tweets, isn't meant to impact elections - but to give people the whole truth without any political spin. "I understand they're running for office and I understand they want to counter point one another, but it shouldn't get done at the expense of vilifying an entire community," the Chief said. Voters seem to appreciate the honesty. "I do like the fact that he is standing up and trying to set record straight and make sure people know what they are trying to do," said Manchester resident Ray Miclette. The letter ended by asking the candidates to stop mis-characterizing the city's efforts. It was signed by the Police Chief Nick Willard, Fire Chief Daniel Goonan, and AMR Regional Director Chris Stawasz.